Wondering what’s new on the South African culinary scene? 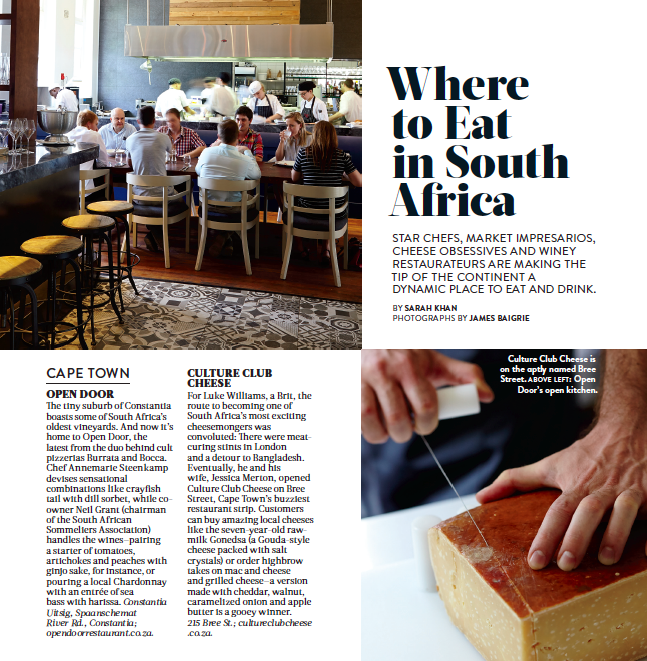 I reported on all the hottest restaurants making waves these days in Cape Town, click the Winelands, cure and Johannesburg. Read all about it here. Just figured out that it was a post from your blog! Pretty cool article. Absolutely loved the idea of a trendy layout and pdf download. I have been keen to try Sundoo’s restaurants lately, will give them a try. Thanks! But it’s not from my blog, it was published in Food & Wine magazine in the States and I just posted the PDF here. So I can only take credit for the words, not for the photography and layout. And yeah Sundoo was really good, worth trying out for sure.